Gemmy cluster of rare rose quartz crystals. The crystals are very translucent with lustrous faces (very hard to photograph). 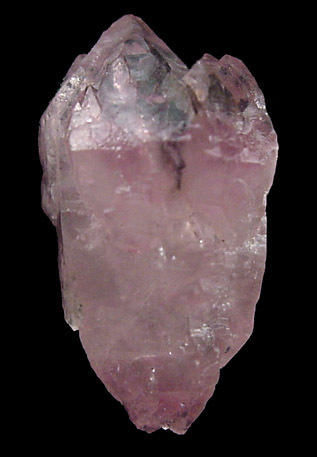 An excellent specimen of rose quartz crystals - found in few places in the world. Overall size of mineral specimen: 22x12x8 mm. Size of individual crystals: 5-15 mm.